Yesterday I received a gift of an orchid that brought tears to my eyes for two reasons. First, I was very touched by it and it lifted my spirits enormously, plus it’s a really gorgeous flower. Second, I crapped myself that I’m going to kill ANOTHER orchid. I’ve had about three orchids before and they’ve both faced a similar fate – death owing to neglect/overfeeding/underfeeding/an owner not knowing WTF to do. I’ll report back. I’m determined to make this work. I received an orchid when the girls were born and someone suggested I keep it in the bathroom where it gets light and steam. Best advice I ever got. I also am in the habit of watering it only on a Sunday night and I leave it in the sink so that all the water runs out and it doesn’t stand in the water. It has flowered twice and it desperately needs to be repotted, but it’s still alive (touch wood). 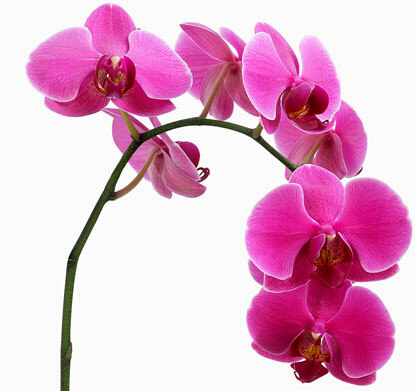 The most important thing with orchids is that they do not want to stand in water. I give mine to my mom to nurture. I am soon going to do a blogpost about her one orchid palnt which has 11 stems this year. Kids you not – and each has about 10 flowers on it. I think orchards are the most beautiful flowers ever – unfortunately, I definately do not have green fingers and I struggle to keep most plants alive!